As heiress to a media empire Alessandra Sinclair was raised to put family obligations first. But everything changes the night her first love walks back into her life and turns her whole world upside down. Haunted by the memories of a secret romance with a boy from the wrong side of the tracks, she can't seem to get Hudson Chase out of her mind. Once again torn between two worlds, Allie must decide how much she’s willing to risk to have the love she’s always longed for. 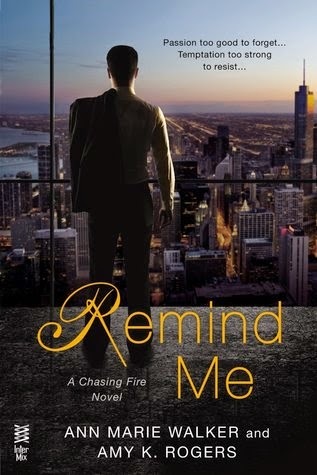 Remind Me was the debut novel of author team Ann Marie Walker, and Amy K. Rogers. When I saw the beautiful book cover, and read the intriguing synopsis, I couldn't wait to read this story! Remind Me has a second chance at love theme. This story is about wealthy heiress Alessandra Sinclair, and business tycoon, Hudson Chase. One summer when Alessandra was just seventeen years old, and Chase, nineteen, they fell madly in love. At the time Hudson was a poor guy from the wrong side of the tracks. Their romance ended abruptly, and Hudson always felt like it was due to his lack of money and social status. Currently, ten years later, Alessandra is engaged to marry Julian Laurent, a social snob, and wealthy French Marquis. Hudson moves to Chicago for business and is caught off guard when he runs into Alessandra at a charity event that she organized. When the two reconnect, it's like no time has passed between them. The sexual chemistry is intense, and unresolved feelings between them abundant. The beginning of the story was a bit slow paced. I had trouble connecting with Alessandra, because she let her parents control her life. I wanted her to break away from them, and grow a backbone, instead of being the puppet that they pulled the strings to control. I thought that Hudson deserved better, than to be treated as if he was second best. I loved Hudson's character. He was ambitious, hardworking, loyal to his younger brother, Nick, and would do anything for those he cared about. Alessandra's best friend, Harper, was a great secondary character. She was fun, down-to-earth, likable, and entertaining. The plot of the story picked up in the middle. Readers get a variety of plot twists that keep the story entertaining; passionate love scenes between the main characters, and a cliffhanger ending that I was not expecting. It leaves us right in the middle of a climatic scene, yearning for more! 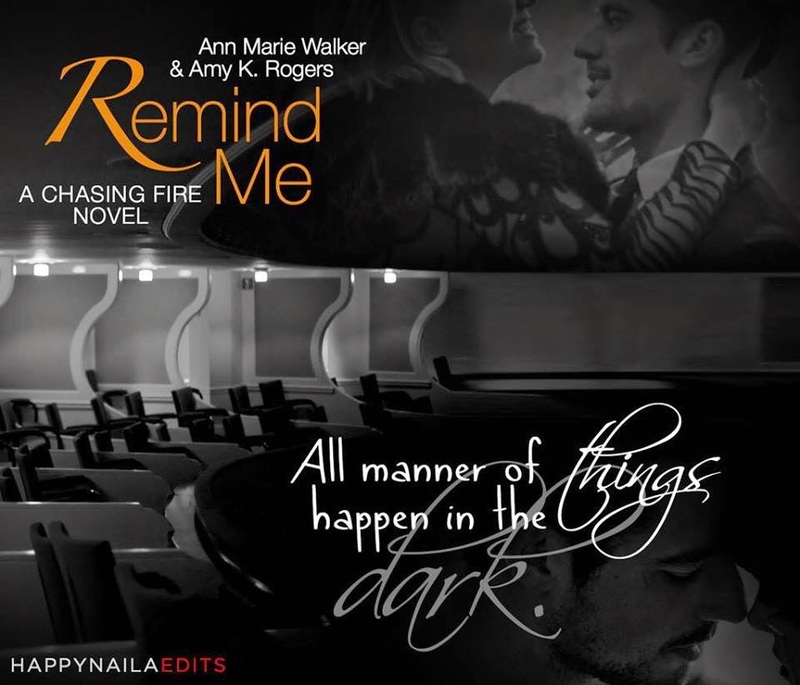 I give, Remind Me, by Ann Marie Walker, and Amy K. Rogers, 3.5 Dramatic, Endless Passion, Second Chance at Love, Anticipatory Cliff-Hanger Ending Filled Stars! I am looking forward to continuing this story, and seeing how everything plays out in the next two segments of the Chasing Fire trilogy!!! 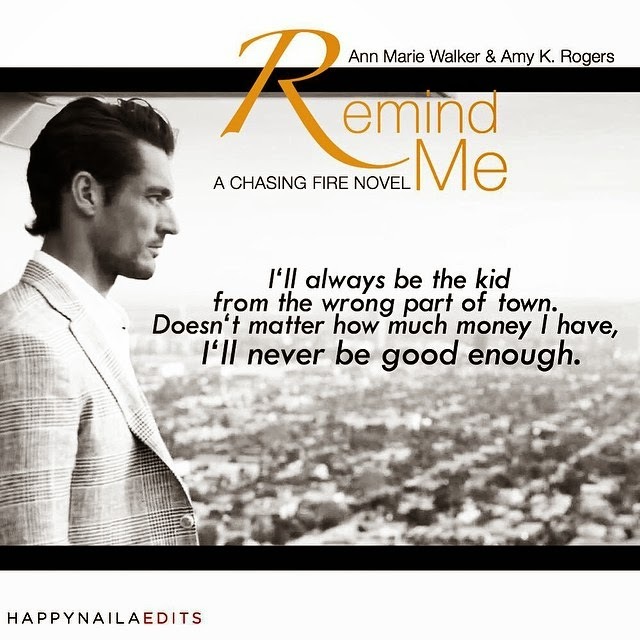 Ann Marie Walker writes steamy contemporary romance and is co-author of the Chasing Fire series (Remind Me, Release Me, Reclaim Me) from Penguin Books. 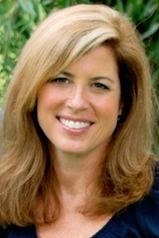 She and her writing partner Amy K. Rogers met instantly bonded over their love of alpha males, lemon drop martinis and British supermodel David Gandy. 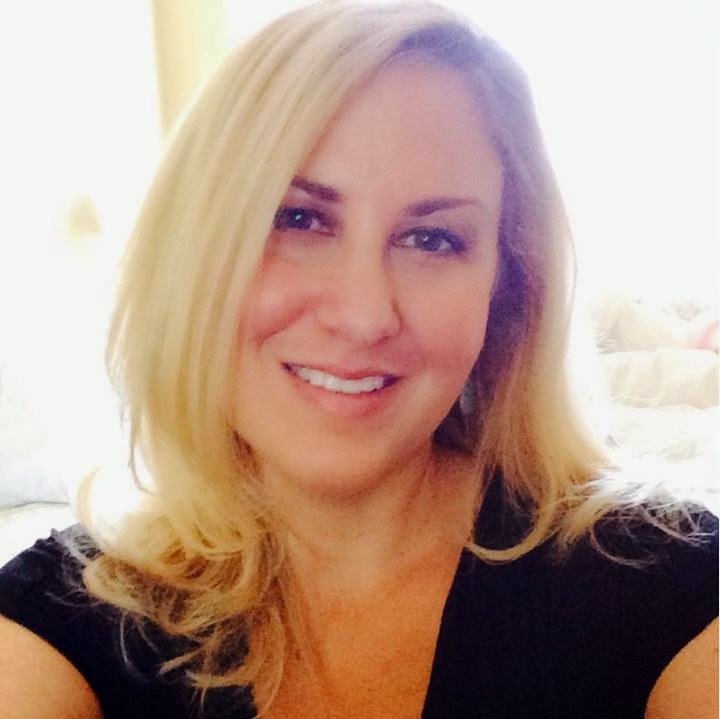 Ann Marie attended the University of Notre Dame and currently lives in Chicago. Second chance romance is a favorite of mine. 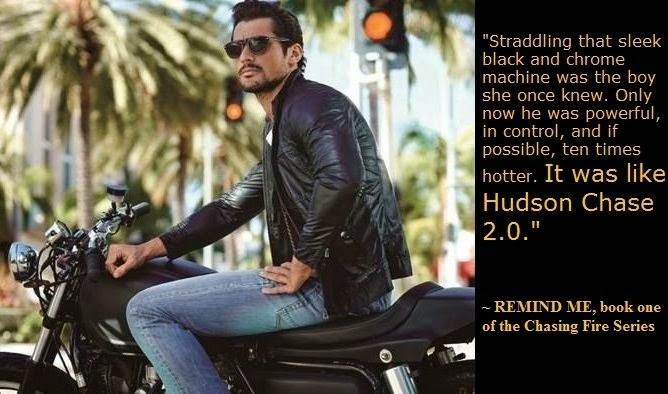 Oh yum..this sounds delicious..and I love these revenge, second chance romances!